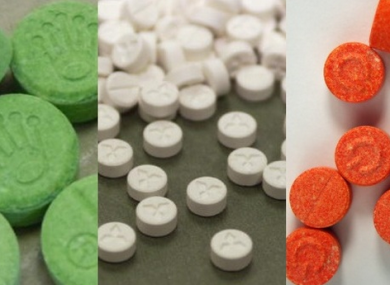 BY NOW YOU have probably heard the news that certain drugs – like ecstasy, ketamine and crystal meth – are all legal to possess in Ireland until midnight on Thursday. A ruling in the Court of Appeal today effectively means that some drugs that had been declared illegal in previous years are currently legal. Legal, that is, until emergency legislation from Health Minister Leo Varadkar pushed through the Dáil tonight goes through the Seanad tomorrow, restoring the legal position to what it was before today. The Court of Appeal ruled that Section 2(2) of the Misuse of Drugs Act 1997 was unconstitutional because it gives the government law-making power that should be for the Oireachtas. The court ruled that the law gives ministers the power to make possession of certain drugs illegal by order without scheduling the policies and principles against which they do so, Health Minister Leo Varadkar explained today. This is repugnant to Article 15 of the Constitution. The case concerned a prosecution of Stanislav Bederev for possession of methylethcathinone (also known as cat) which was among a number of substances put on the controlled drugs list in 2010. He brought a High Court challenge seeking to stop his trial claiming that the regulations were unconstitutional. While the High Court ruled in favour of the State a number of months ago, the Court of Appeal over-ruled this verdict this morning. What does the verdict today mean? The verdict essentially meant that the nine ministerial orders made to make certain drugs illegal since the commencement of the 1977 Act are unconstitutional as they should have been subject of Oireachtas approval i.e. a vote of TDs and Senators. The ruling effectively means that certain drugs that had been illegal are now legal until a new law is passed. Drugs like ecstasy, ketamine, cat, magic mushrooms, crystal meth and so-called head shop drugs. Other drugs like cocaine, heroin, cannabis and LSD those remain illegal as they were outlawed before 1997. So these are all legal now? The possession of such drugs is legal. However, under different legislation it is still illegal to sell, supply, import or export the aforementioned drugs. I would tentatively call this a trend – Article 15 being used to invalidate laws. The total number of these that have succeeded since the test was implemented in the 1979 is in single digits. Four of the five have been since 2011, which is a bit of a cluster. Judges may be more likely to find this way or maybe lawyers are more aware of it and are taking a punt on the fringe arguments? What about people who have been convicted under this unconstitutional law? Conor O’Mahony, senior law lecturer at UCC, explained on Newstalk Lunchtime that while previous convictions under the Act still stand prosecutions currently in train could be affected. The emergency legislation cannot be retrospective in effect. It can only take effect from tonight which would mean that you would get a bit of gap in the middle whereby some people perhaps who have not yet been prosecuted and not convicted may now escape prosecutions because there was no valid law in place under which that prosecution could proceed. Speaking to reporters today, Health Minister Leo Varadkar said that this decision would affect a “relatively small number” of cases adding he has been told it’s “dozens”. Varadkar said that people charged in recent times have in many cases not been charged under this law but under other, constitutional legislation. Emergency legislation is being introduced in the Dáil at 8pm tonight in order to amend the Misuse of Drugs Act and outlaw the drugs which are temporarily legal. The reason for this is that there is no stay on the ruling made today which means all these drugs are now technically legal to possess and would be even if the government decided to appeal the ruling in the Court of Appeal to the Supreme Court. The government is, we’re told, actively considering appealing this morning’s ruling, but Varadkar said today that it was necessary to “restore the law to what it was this morning” as soon as possible. The government had anticipated this might happen so legislation was approved by Cabinet in January while the opposition parties were briefed that this might be happening last week. So, if you’re found by gardaí to be in possession of any of the drugs between now and Thursday, what happens? “Possession is not an offence at this moment in time,” Varadkar admitted today while emphasising that the sale, supply, import or export of such drugs remains illegal. An Garda Siochána will continue to enforce the Misuse of Drugs Acts. Any person found in possession of a substance deemed illegal under legislation will be subject to prosecution. All substances which are seized by An Garda Síochána are subject to analysis by the Forensic Science Laboratory. In theory, yeah, but you couldn’t buy it from anyone, if that makes sense. Varadkar added that if extra gardaí were needed on the streets tonight that was a matter for the Garda Commissioner. It’s believed that the gardaí were aware of this case and represented in court this morning. Who’s fault is all this? I don’t think it’s an issue of fault. You could argue that the legislation, which dates from 1977, was defective and the courts have no determined that but it was not challenged up until now. Of course, the law and legislation was very different back in the 70s. Ministers could almost make law, in those days, written by circular. Now it’s very different. Varadkar said today that laws to reform this whole area would probably have to be brought in later this year. - additional reporting from Aoife Barry, Sinead O’Carroll and Daragh Brophy. Email “Why are ecstasy, magic mushrooms, and other drugs all legal tonight and tomorrow?”. Feedback on “Why are ecstasy, magic mushrooms, and other drugs all legal tonight and tomorrow?”.